As a friend recently pointed out, if life is a highway, we occasionally find we have inadvertently taken a dirt road. I have recently experienced the crisis of a loss of vision. This was not the inevitable existential crisis caused by the proliferation of technology that has enabled the endless indulgence in narcissistic fascination known as the selfie, or the tools readily available through an iThing to make and edit images that were once the provenance of the dedicated photographer who has invested tens of thousands of dollars in their craft and the elimination of the profession through the harvesting of social media. No, this was not an existential crisis but the sudden physical reality of the rude awakening of the process of aging that robs of our resources, not the least of which, and perhaps the most treasured to the photographer: the gift of sight. Herein lies the tale of my experience of a retinal detachment. Sunday, and I am heading up the river with my dear friend to shake our sticks at fish and harvest the bounty of the Alaskan wilderness amidst the wonderment and wildlife of the Chilkoot River near Haines, Alaska. Waders on, rods at the ready, crystal clear waters cascading through the moraine of a glacial-fed lake, we make our way to the killing fields with the notion of decimating the spring population of Dolly Varden and thereby assure the safety of the salmon frys who are the target of the local char. A good investment in both the present and the future. As I make my way through the day, I keep looking for the small smudge on my sunglasses that distract my eye away from center. I just cannot seem to see the errant blotch, and do not give it much thought until we return home, fish in the pan and glasses off, that I realize that the soft smudge is a part of my visual field. Being over 60 years old (that is as far as I will go with that) I just attribute the malady to be one of the many small surprises that appear from day to day without cause and resolve as quickly as they appear. The next morning upon rising, I am not well pleased to perceive the smudge has not only not receded, but grown somewhat and assumed the shape of a soft dark curve creating something of a dim horizon in the lower inside corner of my right eye. Most unusual. Proceeding with my day, I visited the local SEARCH health clinic in town to inquire if there is an eye doctor on board. In our town of 2500, specialists visit from time to time, and the next time will be in about 10 weeks. On that note, I decide it is time to call a good friend who has an ophthalmologic practice on the east coast to see what he has to say about what is going on, and should I be concerned? Well, it could be a retinal bleed or clot, which is a condition known as a retinal vascular occlusion. 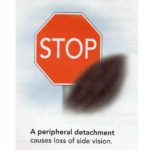 It could also be indicative of a retinal detachment. I am advised to try to map the extent of the occlusion and if it grows, I should seek further help locally. I read up on the symptoms of an occlusion, and it seems like a fair diagnosis from 4000 miles away. I decide that if it is a clot, I should have that diagnosed and cared for as it could precipitate a stroke, and I would be well served to shoot for a stich in time. A little research on the internet points me to an eye clinic in Juneau, and I give them a call to feel out how we might proceed. The secretary makes notes of my symptoms, checks with the doctor and tells me to come in the following day, so that the doctor can fit me in amidst an already full schedule. Speaking subsequently with a friend who had a similar experience, I am alerted to the possibility that it may well be a detached retina, in which case I will have to make a journey to either Seattle or Anchorage to have a specialist address the problem, so I decide to pack a bag just in case, and as I continue to read up on the possibilities of a detached retina, find myself becoming increasingly anxious that I may be about the loose the gift of vision in one eye. From what I am reading, one wants to catch and address this condition in the initial 24 hours of the onset of symptoms, and it is going on four days in my case. When I awake the next morning to catch a 6:00 am flight to Juneau, the curtain had encroached on about 50% of my vision. I am convinced the worst is upon me. Arriving in Juneau an hour before the clinic opens, I catch a quick breakfast and then taxi up to the hospital campus, where I am delighted to find the office has opened early, and they manage to get me in pretty quickly. My worst fear is realized, as I am told I am experiencing a superior retinal detachment, and wonder if that is somehow a value judgement, a better thing, or a bigger thing. I am surprised and relieved to hear that the condition is treatable, even four days into the malady, but I will have to plan a trip to Seattle, or Anchorage, or anywhere else I would like to go for some advanced surgical treatment by retinal specialists. It is with delight I am able to proclaim that I am ready and prepared with an overnight bag, and happy to take the good doctor’s recommendation. Seattle might take a few days to treat me, whereas Anchorage will more likely get me treated sooner, possibly that afternoon, and when did I eat last? Now I am sorry for the breakfast I enjoyed an hour earlier, but all we can do is go with the flow, so I flow on down to the airport to book the next flight to Anchorage. My local clinic has made the necessary introductory arrangements with the clinic for my afternoon arrival. What ensues becomes a mad panic of phone calls, problem solving, and learning curves as we begin a flurry of phone calls with my wife, the Anchorage clinic, and between my wife and the clinic before we get it all sorted out. There is a hotel across the street from the Retinal Center which has a restaurant in-house, and I will be scheduled for surgery the following morning at the regional hospital. Upon arriving in Anchorage, I am well seen to by the specialist, who gives me every reasonable assurance that in time I will experience a full recovery. Along the way, having shared the experience through social media, I am surprised at how many people confide they have had a similar experience, or know someone who has experienced a retinal detachment. Many want to know what might have caused such an injury. As we age, our vitreous (a clear gel that fills the space between the lens and the retina in our eyes) may change in consistency and shrink or become more liquid. Eventually, the vitreous may separate from the surface of the retina — a common condition called posterior vitreous detachment (PVD). As the vitreous separates or peels off the retina, it may tug on the retina with enough force to create a retinal tear (There are millions of fine fibers intertwined within the vitreous that are attached to the surface of the retina). Left untreated, fluid from the vitreous cavity can pass through the tear into the space behind the retina, causing the retina to become detached. So it was not landing the big fish that precipitated the problem, but the relentless onslaught of years. I am always amused when I am told that “you are only as young as you feel.” Well, sometimes it just “blindsides” you, if I can play with words. The next morning, on my fifth day since the onset of life’s highway’s newest pothole, I am admitted to the Anchorage Regional Hospital where I will receive the surgery that will right all the wrongs of the day. The procedures that I will “enjoy” include a Vitrectomy and a Scleral Buckle. A vitrectomy is a procedure to remove the vitreous from the eye. By removing the vitreous, the fluid behind the retina which caused the detachment is removed. Laser surgery is then used to anchor points of the retina to the back of the eye. The morning after surgery, removing the bandage shows the initial results of surgical trauma. No pain, no gain? Then a gas bubble is inserted into the eye. The gas bubble will, over time, be absorbed into the eye, but during the period of recovery from eye surgery, it will, with correct head placement, act to press the retina back against the eye wall. A scleral buckle is one of several ophthalmologic procedures that can be used to repair a retinal detachment. Scleral buckles come in many shapes and sizes. An encircling band is a thin silicone band sewn around the circumference of the sclera of the eye. Buckles are often placed under a band to create a dimple on the eye wall. The scleral buckle is secured around the eyeball under the conjunctiva. This moves the wall of the eye closer to the detached retina. It also may move the retina closer to the vitreous. This alteration in the relationships of the tissues seems to allow the fluid which has formed under the retina to be pumped out, and the retina to re-attach. The physics or physiology of this process are not fully understood. I like that some things still may fall under the provenance of “magic.” Certainly modern medicine is increasingly living in the camp of miraculous. As with all surgeries, it was over before I know it. It is a two-hour procedure while I am thankfully under full anesthesia. I am also quite thankful for the fact that given the location of my detachment at the top of the retina, I will not be required to spend days on end facing down, and my only requirement is to do no lifting, and sleep either face down or sitting up at somewhat of a 45-degree angle. I am restricted from flying for the next two weeks, given the air bubble in my eye. 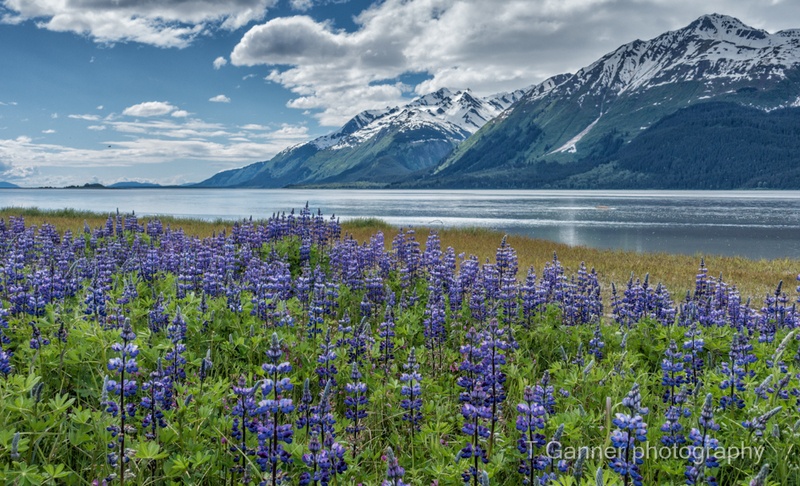 My wife Carolyn has departed Haines and is en route to Anchorage to collect and return me home. It is a 15-hour drive straight through, and she arrives on Friday morning just prior to my heading for the clinic for a post-surgical inspection from my hero craftsman with the scalpel and laser ray gun (Dr. David Zumbro). All is well, the good doctor is pleased with the result, and gives me every assurance that my sight will restore itself someday, likely within 4-6 weeks. The “eye-rony” here is that I had about 50% vision in my right eye before they “fixed” it, and now I have 0%, but I am optimistic, because I was told to be so. So let me sum up the experience. Scary going into it, relieved at the prognosis. Following the doctor’s directions and doing what I am told, while living on Tylenol and Ibuprofen for days to come. While there is little pain relative to many surgeries, there is maximal discomfort as the eye is swollen, bloodshot, inflamed, due in part to the trauma endured, and the bubble that creates pressure from inside the eye. A curiosity to me is that I am seeing elaborate landscapes before me as I close my eyes. Great detail of beautiful mountain scenes. I am at a loss to explain that phenomena that lasts for a few days. Overall, the experience is exhausting, and by the time I get home to Haines a few days later, I am very achy and want to do little beside sit in a dark room and perhaps binge watch some old series on DVD. Recovery is slow relative to overall comfort in the eye. Over two weeks after surgery, I am off the Tylenol, but the eye continues to be itchy, sore, and heavy, and I find it somewhat exhausting to have half vision, with good sight in one eye and an ongoing light show in the other. An eye patch helps that, as well as protecting the eye from dust and other invasive and unwanted small injuries. Slowly I am beginning to discern forms. I can make out a door from a window and sense the form of large objects in the room that offer some contrast. With one good eye, I can drive with care since depth perception is now nil. Everything looks like a photograph. So this is one of life’s “little” speed bumps. We all get to enjoy something of the aging process if we are lucky. I am thankful for the miracles of modern medicine and the care givers who provide comfort and assurance and to my friends and life-partner, who have cared for me and helped me through life’s little adventures. I experienced the detachment in early May. It is now mid-November at the time of this writing. About six months. Remember that bit about 4-6 weeks and likelihood of full recovery of sight. Well, no such luck, I regret to say. Herein lies the rest of the tale. 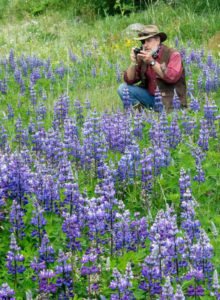 Of course everyone was concerned that a photographer should loose his vision. It was interesting to note that everything I looked at, looked like a photograph. Flat and two dimensional, no sense of depth. I still could well see the beauty around me. 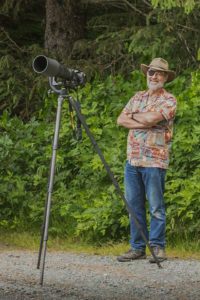 I pointed out to my friends that, though I could not see out of my right eye, which hithertofor had been my dominant eye, I could still see perfectly fine out of my left eye, and it only takes one eye to look through a view finder, while it takes two hands to hold and operate a camera. Perhaps it does not always take two hands to operate a camera, but it sure helps, and if I had to make a choice, I would opt to keep both my hands! To be sure there are things that cannot be done well without both eyes. Depth perception can be an issue. I had no problem driving, but I had to give up on the idea of finishing the baseboards in my house this summer. Not only did I not trust myself to make accurate measurements and cuts, the point was driven home when I tried touching up some previous work with a paint brush, and ended up spending more time cleaning up paint off the floor from missed strokes than time spent actually painting. Took me about fifteen minutes of trial and failure to give up the notion for this season. Two weeks after my surgery I went to Juneau for a follow up with the local ophthalmologist. My eye was so cloudy he could not see through the bubble to the retinal surface and had to image the surface with a sonograph. Prognosis: good! The retinal surface was laying flat. About a month later, I was off to Anchorage for a follow up with the Alaska Retinal Center who did my surgery. They did not want to leave it to the Juneau fellow … they wanted to “see” for themselves. They could not see either, and again imaged the retinal surface. I was told I should return in three months for surgery to remove the cataract that had predictably formed as a result of the surgery, and take care of “wrinkles” that might likely form on the retinal surface. It was exciting, as the weeks passed, to “watch” for and sense, if not exactly “see” progress. Every morning when I woke up, I would hold some fingers up in front of my eye and see if I could discern their number. Slowly, day by day I went from seeing shapes to seeing greater details within the shapes. By the time I was able to “see” again I was beginning to notice distortions that I hoped were the result of differential swelling within the eye. Over time, the body reabsorbs the bubble that was placed in the eye, and replaces the fluid with some sort of watery solution that takes the place of the vitreous. It was interesting to watch as the bubble shrunk. In time, there was only a small bubble left, and given the way visual optics work, since bubbles float, and it was at the top of my eye, my vision of it showed it at the bottom of my visual field. As I would go for my daily walk, I would plug my iPod into my ears and often keep pace with the tempo of the music. This would cause the bubble to “bounce” to the music, which reminded me of the old “sing along with the bouncing ball” TV shows that eventually devolved into karaoke. Eventually, the bubble disappeared completely, but unfortunately, the distortions did not, and I became aware that the cause was swelling beneath the macula. Straight lines were no longer straight. but had a significant “bump” that lifted and distorted the visual field off to the right. I was regaining my sense of depth, and my three dimensional vision was returning, but I found that I was seeing the “aura” or “spirits” of mountains and trees and people that led me to believe I could now enjoy vision in the fourth dimension. Being an old psychedelic relic, I imagined as time went on, and the moon was in the seventh house and Jupiter aligned with Mars, I might well join the Fifth Dimension. Hopefully, this swelling will subside in time. I am fascinated with this healing process. Taking my walks, I would notice the road would go off in two different directions as a result of the double vision. Over many weeks, it was a relief to note that the distortions seem to be diminishing. As I walked, and looked through one eye and then the next, the divergence of the road(s) slowly began to show improvements in alignment. The straight line distortions are becoming less severe. Alaska Retinal did not want me to wait till I got back to California to have my cataract surgery and “wrinkle rectification.” They said it could not wait, and I would just have to travel the thousand miles back to Anchorage and remain for a week between post-op and op. When I got there, I was told there were no wrinkles to repair, just swelling under the macula, and all they would do was the cataract surgery. That surgery yielded no discernible change in my vision. I was told on my first visit that there was no separation of the macula. I am told after the cataract surgery that my macula had been half detached. Perhaps over the course of a year the macular swelling will continue to subside and my vision will improve. I also know that over time, the brain filters out irrelevant information and therefore accommodates for visual discrepancies and erroneous signals. Gotta love it! I have been ignoring unimportant information for years! 3. Continue to count your blessings, and enjoy and experience the beauty and love around you. An update as of July 2017…. (in conclusion): I went and saw another specialist in California in January of 2017, with the Assil Eye Institute of Beverley Hills. (With a location like that you expect them to be good, right?) At the time, I continued to show some improvement in my vision, and was measured at 20/30, which was encouraging after another improved measurement of 20/50 a month earlier. The ophthalmologist there told me that I had received pretty excellent service in Alaska, and had nothing to complain about given that my macula had pretty well detached when they did the surgery. (Now remember, the surgeon had originally told me there was no separation when I went in before the surgery. He did not change that assessment on my follow up with him, but months out, when getting my cataract surgery, the surgeon then told me I had experienced a partial detachment. Now I am hearing it was closer to a full detachment and I should count my blessings. Why does the story change with each visit?) There has been very little improvement since that time, and some days I feel like I am experiencing some further set backs. I could not pass a 20/30 mark the last time I had my eyes examined. I can see out of my bad eye just fine, but it is quite distorted. Thankfully the brain in its infinite capacity pays more attention to the good eye than the bad eye and the world makes sense, on the whole. Given all the maladies and challenges I hear of that people face, my bit of distortion is rather small potatoes. Yes Virginia, I will count my blessings! I did have a little fun along the way with the patch. 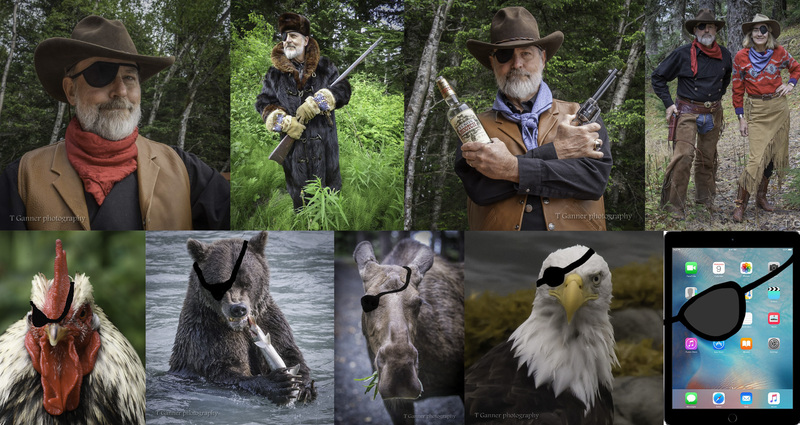 Going from top left, clockwise: My original rendition of the wanna-be Rooster Cogburn, a rare selfie because I had nothing better to do. My friend Jim insisted he outfit me with a black bear coat (beaver collar and cuffs), Russian sable hat, Springfield model 1884 .45-70 black powder rifle for a character I can only call the Revenut. Folks thought the patch was all pirate, so I tried to approximate the cross bones. My wife chipped in with a little empathy. 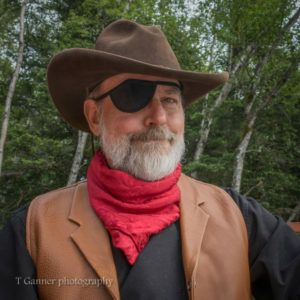 An then my cast of supporters: Rooster Rooster Cogburn, Grizzly Cogburn, Mooster Cogburn, Rooster Raptor, and finally, my own eye-Pad. 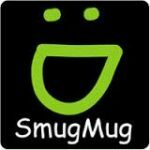 A full resolution copy of this blog appears in my Smug Mug blog collection. Click on the icon to enjoy the full resolution issue. WANNA be ? ..there is a comment some where ?… Wanna Be ? I never saw Wanna be.. even put that in search .. I am so glad you have overcome life’s pitfall and that you continue to post both blog and new photographs. Keep up the great work! You never cease to amaze me..You are a survivor!! Always in my thoughts and keeping positive thoughts for more and more improvement! As I have noted in the past, my friend, you may have impaired sight, but it this loss has sharpened your “vision.” Vaya con Dios!